A journey through the issues involved in the debate of undocumented immigration. Laredo, Texas has the largest inland (import & export) trade route in the USA, and is located right across the Rio Grande from Nuevo Laredo in Mexico. The combined population of the two Laredos is approximately 750,000. Most residents have family ties between the two cities. Laredoans express their views on undocumented immigration through their unique perspective: directly from the front line. Currently we have over twelve million undocumented immigrants living and working here in the United States; many of them crossed at this border region. Among the topics discussed are the border fence/wall debate, immigration laws, and racism. 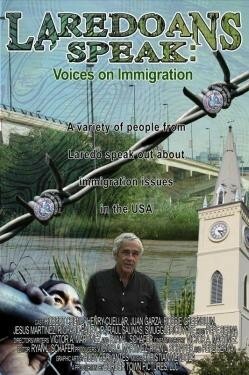 This documentary strives to make one reexamine their views on the topic of undocumented immigration.